If your deck is looking a bit worse for wear or has been damaged by the recent Brisbane floods, then it may be time to conduct some deck maintenance. The first thing you should do is inspect your deck. Look for any signs of damage, particularly rotting timber if you were unfortunate enough to be a victim of the floods. Walk around and check for any squeaks, soft spots or sagging areas. Sometimes it’s a good idea to use a tool such as a screwdriver to poke any suspect boards or joints, because as wood begins to rot it gets soft. Pay particular attention to any areas of your Brisbane deck that have water stains, as these are areas that have most likely received regular dampness. Of course, if you do notice any issues during your inspection, have them fixed before you continue. Give your deck a sweep with a good, stiff broom. You can sandpaper your deck if you have the time but this isn’t necessary if your deck is in reasonable condition. Clean your deck. In most cases it’s advisable to use a commercial deck cleaner as it will remove grime and oxidation that many cleaners and water alone won’t. Wait for your Brisbane deck to dry and apply your chosen finish. 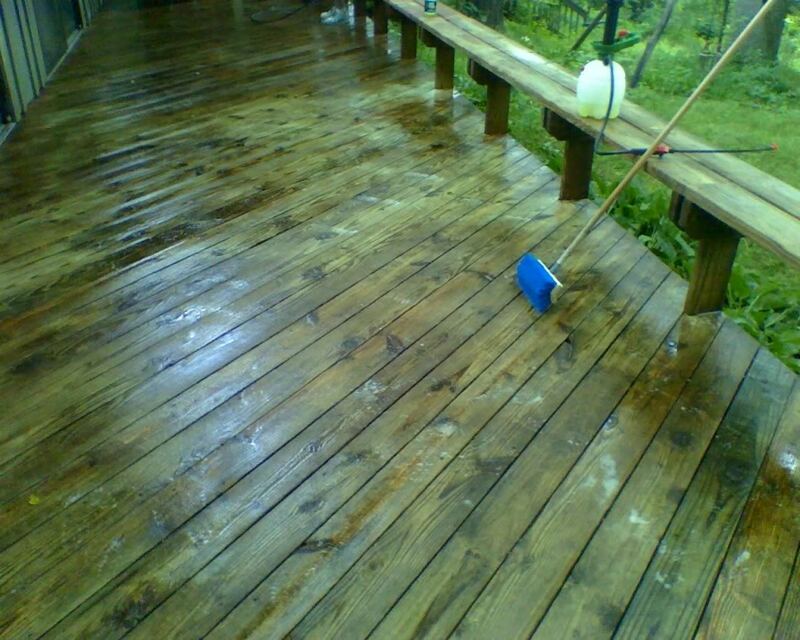 Deck oil is a common choice as it looks great and will do a great job of protecting your deck. However, you can choose products such as stain and paint. Just make sure the finish you choose is suitable to be walked on – consult your favourite hardware store or paint shop if you have doubts. Brisbane is blessed with a climate that allows you to maintain and finish your deck just about any time of the year. However, avoid applying finishes if wet weather is forecast. Particularly humid days are also best avoided as many finishes will take longer to dry. For more advice and tips on developing and maintaining a deck, phone Outside Concepts on 1800 601 674 or go to our website (Deck Brisbane).